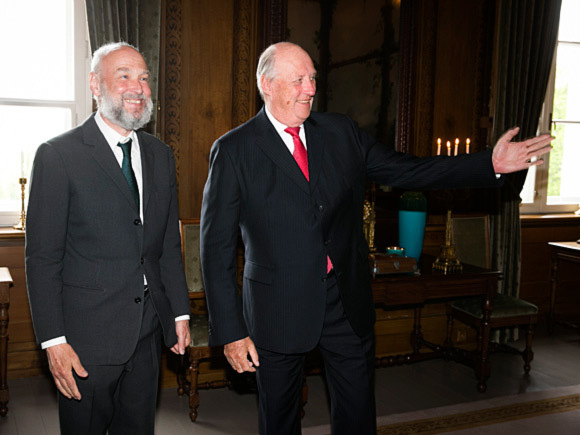 His Majesty King Harald presented the prestigious Abel Prize on 21 May to Belgian mathematician Pierre Deligne for his important contributions to algebraic geometry. 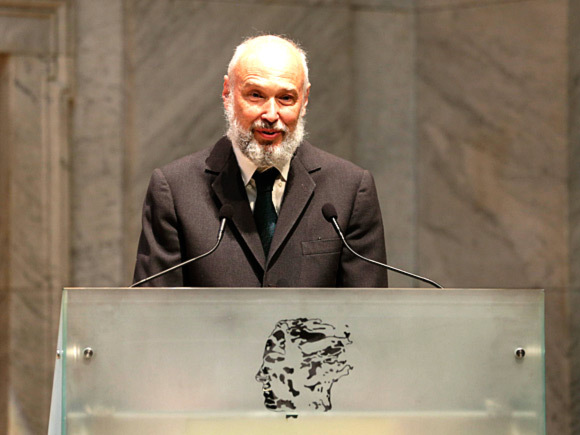 This year marks the eleventh time the Abel Prize has been awarded. 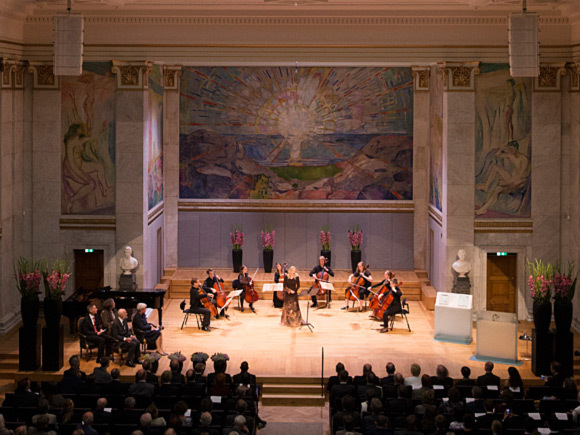 In keeping with tradition, the award ceremony was held at the Aula (the Hall) of the University of Oslo. 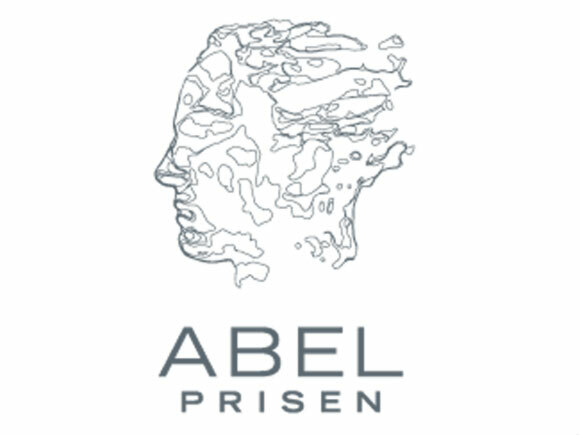 The prize of NOK 6 million is awarded by the Norwegian Academy of Science and Letters. Prior to the ceremony, the King granted the Abel Laureate an audience at the Royal Palace. After the ceremony, in the evening, the traditional banquet honouring the Abel Laureate was held at Akershus Fortress. 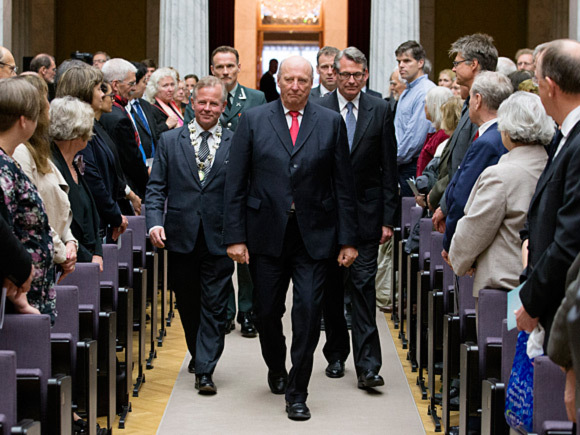 The banquet was hosted by Minister of Education and Research Kristin Halvorsen, and King Harald was in attendance. On 22 May Pierre Deligne gave his prize lecture at the University of Oslo. 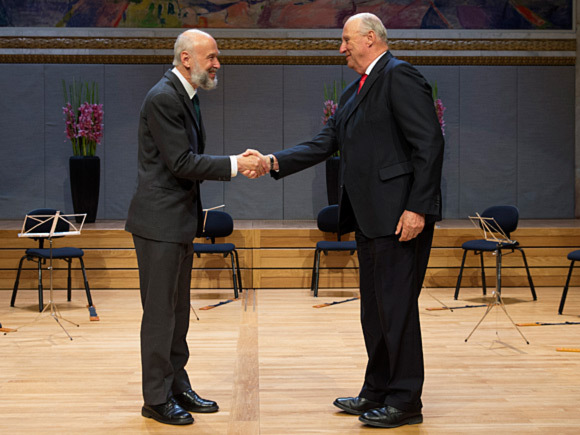 He was also the guest of honour when Anne-Mari Jensen received the Bernt Michael Holmboe Memorial Prize at the Oslo Cathedral School. The prize is named in honour of the Norwegian mathematician Niels Henrik Abel, who, during his short life, developed several theories instrumental to the development of mathematics as a field. Abel died of tuberculosis in 1829, a few months shy of his 27th birthday.